If your color palette is black and purple and Rock & Roll runs through your veins, then these wedding ideas are for you. The invitation sets the tone. 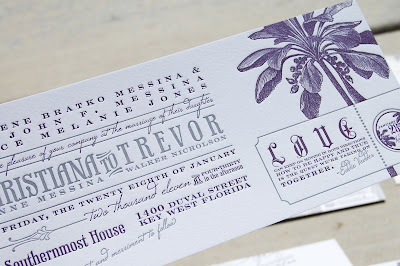 Surprise your guests with an unexpected invitation that looks like a they would be headed to a Rock concert. 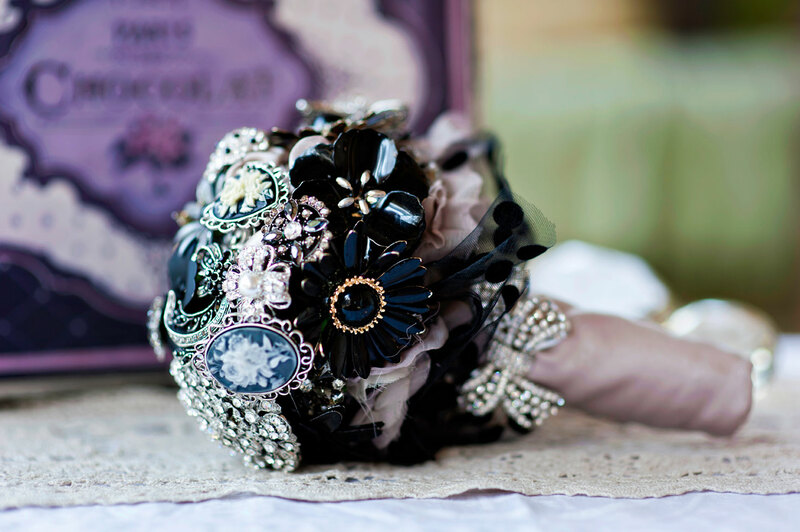 If you like flowers but don’t love them or can do without, how about a brooch bouquet to carry down the aisle? 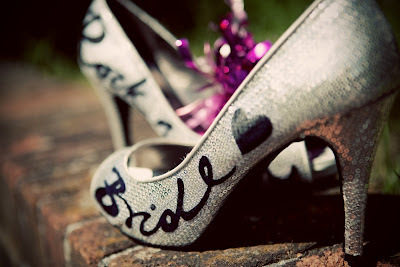 No one says that you have to wear white shoes on your wedding day. Add some of your love of Rock & Roll and your flare with these shoes. 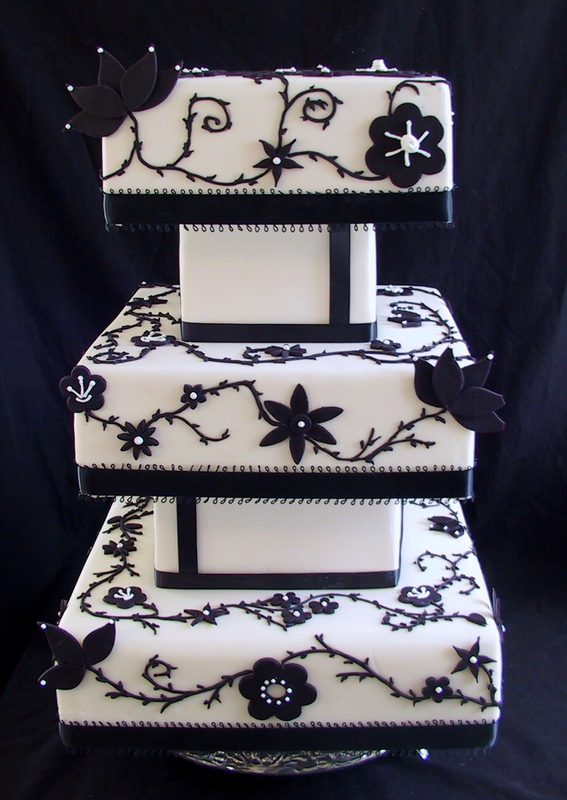 Maybe you also want a dress that's not so traditional and fits the theme. A cake to top off the evening.